Submit the most recent copy of your COE (Certificate of Eligibility) or NOBE (Notice of Basic Eligibility) to the Student Veteran Services office. Submit official copies of transcripts from all previous institutions attended to the Office of Admissions. 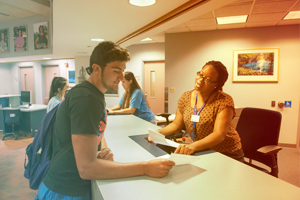 The first time you use benefits at the University of Florida you must submit an application to the VA using their VONAPP website. 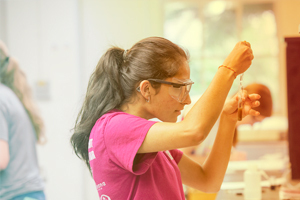 After your VONAPP is completed, submit a UF Enrollment Certification Request. This form MUST be submitted every term you wish to utilize VA benefits. Do I need to apply for VA benefits every semester? Yes. You must submit a UF Enrollment Certification Request every term you wish to utilize your VA benefits. The form is available via our website approximately one month before the beginning of each semester. Do I need to have my registration finalized before applying for benefits? No. The UF Enrollment Certification Request form only asks for the number of credits you will be taking. If your final number of registered credits is different than what you submitted on the form, please contact the Student Veteran Services office. Do NOT fill out a second form for the same term. How long does it take to process my request for benefits? The Student Veteran Services office processes requests for benefits in the order they are received. Every attempt is made to pre-certify requests before the beginning of the term to ensure your first BAH payment and book stipend are received in a timely manner. Final certification is completed within 30 days of the end of the drop/add period or request submission date, whichever is later. How do I qualify for a tuition deferment? If you submit your UF Enrollment Certification Request before the fee payment deadline, you will be given an automatic tuition deferment. No additional forms are required. It remains the student's responsibility to ensure the tuition is paid by the deferment date. Does the deferment cover housing? The cost of housing is not covered under the tuition deferment. Contact the Housing Office to request deferment. You will need to submit proof of VA benefit eligibility. You must submit a copy of your Joint Services Transcript to the Office of Admissions for evaluation. In some instances, credit for military experience can be awarded. Submit your DD214, Member 4 copy to the Student Veteran Services office for evaluation. Is the University of Florida a Yellow Ribbon School? No. The University of Florida does not participate in the yellow ribbon program. Am I eligible for the in-state tuition rate? Honorably discharged veteran living in Florida while you attend school. Dependent using VA benefits and living in Florida while you attend school. Active duty service member regardless of where you are stationed. Submit a waiver request form and appropriate supporting documentation to the Student Veteran Services office. Can I use my VA benefits for any degree program? You may use your benefits for any degree program listed in our current undergraduate or graduate catalogs. Contact the Student Veteran Services office to verify eligibility of benefits for certificate programs. Can I take any course offered? The VA will only pay for courses that go toward your degree or certificate or is a requirement for admittance to a degree-seeking program. What if my advisor recommends a course but it is not required for my degree? The VA does not pay for courses that do not meet degree requirements. Courses that "look good" on your transcript or may be beneficial to future educational pursuit do not qualify for VA benefits. Will the VA pay for my admissions application fee? The VA does not reimburse payments for this fee. Will the VA reimburse program deposit fees? 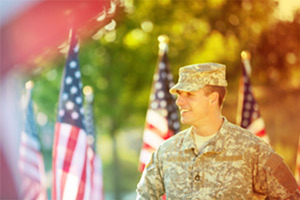 In most cases, deposits are an advance on a subsequent tuition or fee charge and can be submitted to the VA for payment. How much is the housing stipend for the Post 9/11 GI Bill? You may check the current rate using the BAH calculator. Rate is calculated using zip code 32611 and pay grade of E-5 with dependents. Is the housing stipend based on where I live? No. The VA calculates the housing stipend based on the primary zip code of the university you are attending. Do I need to attend full time in order to receive my housing stipend? No. Enrollment status needs to be OVER 50 percent in order to receive the stipend. An undergraduate student taking 12 credits is considered full time. If you take 7 credits or more, you will receive the stipend. Less than full time students will receive a prorated amount based on their rate of pursuit percentage. How does enrolling in online courses affect my housing stipend? If all of your registered courses are considered distance or online, you will receive 50 percent of the national average. What happens if I drop a course or withdraw from the semester? The VA will require repayment for any course you do not complete. Your housing stipend could also be affected if your enrollment status changes to less than full time. The VA will determine if any overpayments were made and will send a debt letter for repayment. What if there are mitigating circumstances for my drop or withdrawal? You may submit in writing to the VA any extraordinary circumstances you believe caused the drop or withdrawal. In general, this could be an illness or injury, death of immediate family member, relocation due to employment, work conflict or hardship. The VA will determine if circumstances warrant the waiver of benefit repayment. Can I use other financial aid in addition to VA benefits? Yes. You may use financial aid in addition to your VA benefits. Every student should complete a FAFSA to be eligible for aid. How does Florida Pre-Paid or Bright Futures affect my VA benefits? We do not need to report monies received from these programs to the VA. You will still receive the full amount of your VA benefit. Do I need to report any scholarships, awards or other third-party payments? You need to report money received that goes specifically towards tuition and fees ONLY. Any scholarships, financial aid or awards that can be used for any expenses do not need to be reported to the VA.
Can I use VA benefits for study abroad? The VA will pay the in-state rate of courses taken using study abroad as long as they meet degree requirements. Any other travel, room and board or other associated fees are not covered. If you are enrolling in overseas study through another institution, you need to contact that institution to certify your benefits. How many months of VA Educational Benefits do I have left? You can access your remaining entitlement through the VA eBenefits website. Can I change my major and still use by VA benefits? Yes. Contact the appropriate college or department to initiate the change. Once this is approved your academic advisor will need to complete this form and submit to the Student Veteran Services office. Can I add a dual degree or minor and still use my VA benefits? With the consent of your academic advisor, you may complete courses that meet degree requirements at another institution. You will need to bring a Certification of Guest Student letter to the certifying official at the secondary school in order to receive your VA benefit. The VA does not pay for repeating courses you have successfully completed including transfer and dual enrollment credit or via AP, IB, AICE or CLEP. An exception to this rule are for courses required to achieve a specific minimum grade. Courses under recommendation to retake by your academic advisor regardless of equivalent AP, IB, AICE or CLEP credit previously earned will NOT be eligible for VA benefits.